Soda Stereo were an argentine rock band from Buenos Aires, Argentina. They were a power trio made up of singer-songwriter Gustavo Cerati, Hector “Zeta” Bosio on bass, and Carlos Alberto Ficicchia (Charly Alberti) on drums. Their career spanned from 1984–1997, and was followed up by a short comeback tour in 2007-2008. Soda Stereo were the first Latin rock group to achieve success throughout the whole of South and Central America, where they have sold more than 7 million copies alone. They are considered to be pioneers of the Rock En Español, Ibero-American Rock and Latin Rock genres. The band established what would become the template for many other popular Spanish-speaking rock music groups. Soda Stereo has topped the all time lists in much of Latin America and in their native Argentina, where they set landmarks in record sales and concert attendances. In 2002 Soda Stereo was awarded the Legend Prize by MTV Latin America, the first prize to be awarded of its kind. In the summer of 1982 Gustavo Cerati at 22 years of age and Hector Zeta Bosio at 23 years of age collided at Punta del Este, Uruguay. Cerati with his group Sauvage and Bosio with The Morgan, a band he shared with Sandra Baylac, Hugo Dop, Christian Hansen, Pablo Rodriguez, (Los Auténticos Decadentes), Charly Amato, Osvaldo Kaplan, and Andres Calamaro. Cerati and Bosio established a friendship and a musical bond that encourage them to start playing together. Cerati first joined Bosio’s group The Morgan, then formed Stress with Charly Amato and drummer Pablo Guadalupe. He also worked on the project Erekto with Andres Calamaro. According to Cerati both projects did not meet his expectations. At the time Carlos Ficcichia, legal name of Charly Alberti would incessantly call Cerati’s house asking for Maria Laura Cerati, Gustavo’s sister. Alberti wanted to ask her out, but she thought he was too “pesado” (stiff) and did not want to go out with him. In one instance when Gustavo answered the phone, they entered a lengthy conversation about music. Alberti mentioned that he was a drummer and the son of the famous Jazz drummer, Tito Alberti, songwriter of a well known Argentinian children’s song, “El Elefante Trompita” (Little Trunk Elephant). After hearing Alberti play, they asked him to join the band, but first he had to cut his hair. After a few experiments (Aerosol, Side Car) the three adopted the name Los Estereotipos (The Stereotypes), referencing a song by The Specials which they passionately listened to for few months. During that time period they record a demo with Richard Coleman on guitars. Soda initially recruited Coleman to beef up the guitar sound but Coleman recognized that the band sounded better without him and quit in good terms, leaving the definitive trio of Gustavo Cerati, Zeta Bosio, and Charly Alberti. The songs recorded were,“Porque No Puedo Ser Del Jet Set?” (Why Can’t I be Part of the Jet Set? ), “Dime Sebastian” (Tell Me Sebastian), and “Debo Soñar” (Must Dream) by Ulises Butrón, in which Ulises Butrón played guitars and Daniel Melero played keyboards. 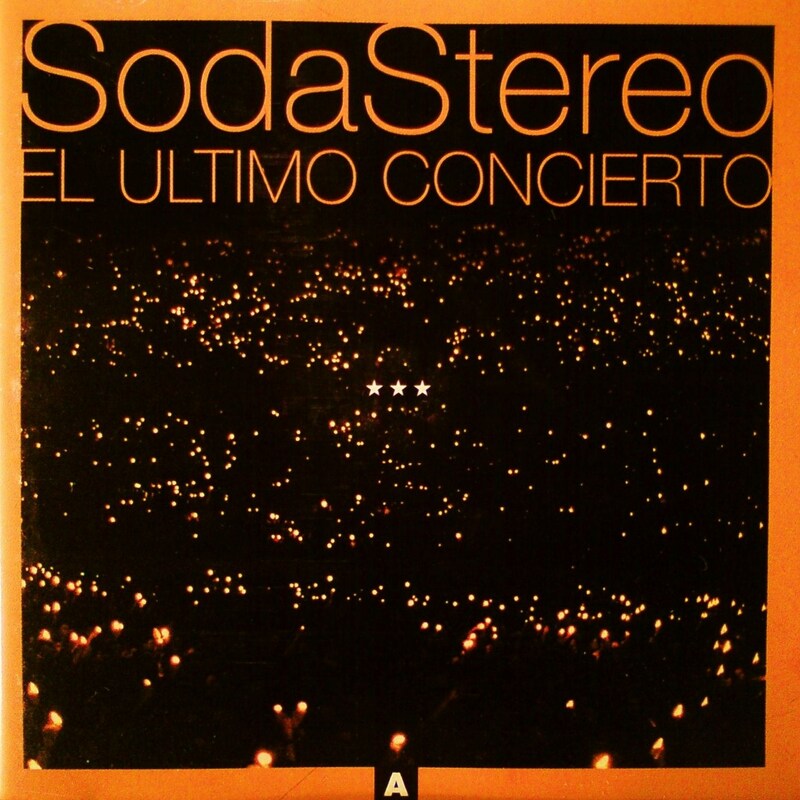 Following that episode, the names “Soda” and “Stereo” appeared, which resulted in “Soda Stereo. The first show under the name “Soda Stereo” occurred on December of 1982. The occasion was Alfredo Lois birthday party. Lois was Cerati and Bosio’s university classmate. He would go on to become Soda’s video director as well as their visual and stylistic guru. Lois was later recognized by Cerati himself as “the fourth Soda”. 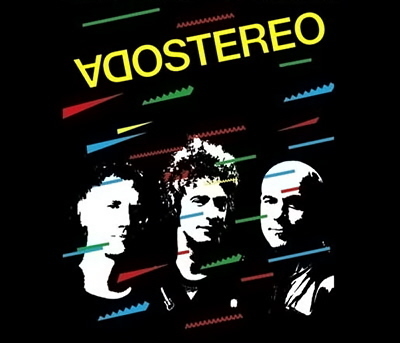 Following that gig, Soda Stereo began to play the underground circuit of Buenos Aires, making a name for themselves alongside other emerging bands of the time, such as Sumo, Los Twist, Los Encargados (with Daniel Melero), and other bands. Soda took up residency at the traditional and deteriorated Cabaret Marabú, located at Maipú 359. In those early shows, Soda would play songs like “Héroes de la Serie” (Heroe of the series), “La Vi Parada Alli” (I saw her standing there), and “Vamos a La Playa” (Let’s go to the beach), along with other songs that appeared on their second demo. On one occasion at the Café Einstein, Luca Prodan approached Cerati, whom he considered “a chetito” and joined Soda in a cover of a The Police song. The band began to attract a bit of notoriety. One night they were called to a pub to substitute for the group Nylon. There began a period of constant shows which concluded at Bar Zero, a place that excluded the Porteño underground, along with Café Einstein. On their third show, Horacio Martinez, a historic Argentinian rock producer and “talent hunter” heard them and quickly took them to record for CBS. This came to fruition in 1984 when Soda signed to the Rodríguez Ares agency. At the time Soda Stereo was already known as being a band that worked hard on their image and long before the recording of their first album they decided to film a video clip, which they financed with their own money. Pipo Lemoud was in charge of the visuals and the graphic designs featured on the fliers and posters for their live performances. It was Alfredo who decided to edit a video clip before the release of the album, something that is quite common today but totally unusual for the time. The song chosen was “Dietético” (Dietitian). The filming was realized with “borrowed” equipment from Cablevision, where Zeta Bosio worked as a production assistant. Soda Stereo recorded their debut during the second half of 1984. The album was produced by Federico Moura, vocalist for Virus. By that time, Moura and Cerati had developed a fruitful artistic relationship. The recording took place in the defunct studios of CBS on Paraguay street. The end result was cooler sound than of the live shows, which the bands were pleased with. The trio was aided by Daniel Melero on keys and Gonzo Palacios on sax. Both were listed as “guest musicians,” a practice which would become common for Soda throughout their career. Such guest musicians would be recognized by the public as the “fourth Soda”. The attention garnered by Soda was manifested in their playing of larger and larger venues. First was “La Esquina Del Sol” in Palermo. “El Recital De Los Lagos” on the 1st and 2 December was their first multi-headlining show with top Argentinian acts. The show was hosted by Argentinean Television personality Juan Alberto Badía. Soda Stereo presented their debut album at El Teatro Astros on the 14th of December 1984, it was their first show there. 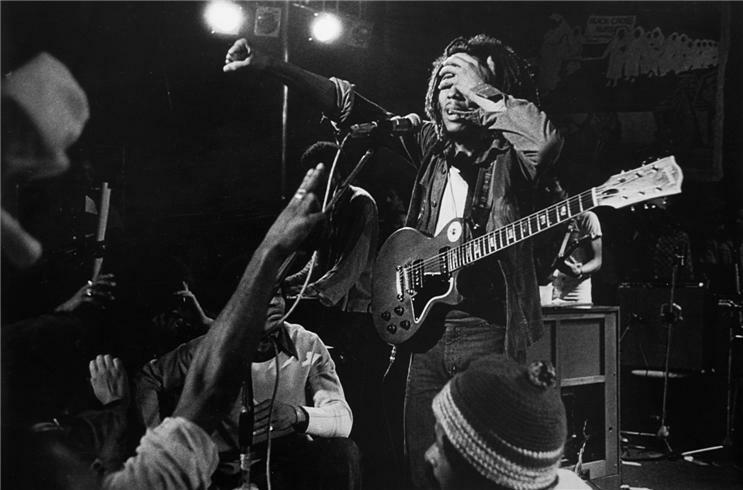 The stage was designed by Alfredo Lois, who for the occasion located 26 television sets in the background. The TV’s were turned on and out of sync with each other – the theme of “Sobredosis de TV” (TV Overdose). The TV’s, together with a large amount of smoke, created an unusual but captivating visual effect. On the 26th of January 1985 Soda played the Rock in Bali festival in Argentinian port city of Mar Del Plata. On the 17th of March they played the Festival Chateu Rock ’85 at the Estadio Olímpico Chateau Carreras in the province of Cordoba. The official biography of the band attach great importance to this appearance indicating that the band played for 15 thousand people and that they were the revelation of the festival. However, Cordoba media outlets claim that, “only half the number of people actually showed up and that Soda were hardly noticed because their first record had was just released a few months earlier.” They also added “Raul Porchetto was the biggest draw of the night”. Regardless, their presence at Chateau sparked a personal relationship between the band the youth of Cordoba, it marked the moment that the band began to take flight toward national stardom. The success of the band began at a very peculiar time, related, on the one hand with the return of democracy to Argentina (December 10, 1983), and on the other hand, with increasing notions of postmodernism, particularly in the way the 80’s youth created their role in a newly democratic society, one that had just emerged from bloody Dictatorship and War. After these concerts records sales began to increase at an accelerated rate, quickly passing the Gold certification that they had achieved during the summer, platinum certification, and finally double platinum in the following months. Without abandoning the danceable rhythms, the second LP resulted in more depth in the lyrics and a melodical maturity. The album marked the definitive consecration of Soda Stereo to the Argentenian public. In 1986 Soda Stereo realized their first Latin American tour, called Signos – still touring with the Nada Personal record. The band played in Colombia, Costa Rica Peru, and Chile with considerable success. In Chile they realized four shows in Santiago, on the 21,22,24, and 25 November, and one in Valparaíso on the 22nd of November of 86. In November 1986 Soda arrived in Peru for the first time and revolutionized the market. Their album sales were enormous and their three shows at the Amauta Coliseum were unforgettable. At that time Latin Rock was not that popular with the youth of Latin America (with the exceptions of Argentina and Uruguay) and bands were not accustomed to international tours. On the 10th of November of 1986 the band released their third album Signos. Signos with its lead single “Persiana Americana” (American Blinds) was a key step for Soda Stereo who by now had come under a great deal of stress due to ever increasing factors: sales expectations, external pressures, the risk of failure, and internal tensions. The band was joined in the studio by Fabián Vön Quintiero on keys, Richard Coleman on guitar and Celsa Mel Gowland on back up vocals. Signos became the first Argentinian Rock album to be released on Compact Disc. It was manufactured in the Netherlands and distributed throughout Latin America. On the 3rd of December Soda made their first appearance in Ecuado. In early 1987 Soda returned to Chile, this time to the Viña del Mar International Song Festival where they won the prize “Antorcha de Plata” (Silver Torch). The festival was broadcasted via television to many Latin American countries, expanding the band’s fame throughout the continent. It did not take long to transform itself into a massive unconditional adhesion which was called “Sodamania”. On the 23rd of April 1987, Soda broke records for ticket sales in Paraguay with their show at the Yacht Club. Meanwhile Signos reached Platinum status in Argentina, triple platinum in Perú and double platinum in Chile. Soda’s first show in Mexico occurred on the 4th of August in 1987 at the Magic Circus in Mexico City. In late 1988 Soda began to work on a new album alongside Puerto Rican producer Carlos Alomar. Alomar had worked with David Bowie, Mick Jagger, Simple Minds, Iggy Pop, and Paul McCartney, among others. Doble Vida (Double Life) was recorded and mixed in New York City. It was the first record by an Argentinean band to be completely recorded abroad. The album produced four singles, “Picnic en el 4B” (Picnic in Room 4b), “En la Ciudad de la Furia” (In the City of Fury), and “Lo Que Sangra (La Cúpula)” (That Which Bleeds (The Dome), and “Corazon Delator” (Tell-Tale Heart). The video for “En La Ciudad de La Furia” was a finalist for an MTV Video Award in the category of best foreign video (there was no Latin MTV at the time). After more than a year without playing in Buenos Aires, Soda showcased Doble Vida at the hockey field at Obras in front of 25,000 fans. To top of a stellar year, Soda headlined the Three Days for Democracy Festival, which took place in Buenos Aires on the intersection of Avenida del Libertador and Nueve De Julio. The show was attended by 150,000 people and Soda shared the stage with Luis Alberto Spinetta Fito Páez, Los Ratones Paranoicos, Man Ray, and others. With sales of a million copies of Doble Vida under their belt, Soda began a massive tour in early 1989. The tour began with 30 shows in Argentina, covering most of the country, which were attended by nearly 270,000 thousand fans. These shows were followed by a new Latin American tour (their third), which cemented a massive following in Mexico. Near the end of 1989 Soda records a new version of “Languis” (from Doble Vida) and a new song titled “Mundo de Quimeras” (World of Chimeras). Both songs were released in the EP Languis (1989) along with remixes of “En El Borde” and “Lo Que Sangra (La Cúpula)”. Following the release of Languis Soda played two sold out shows at The Palace in Los Angeles, becoming the second Rock en Español to play in the United States, following Miguel Mateos. In early 1990 the band co-headlined a show for 32,000 people with British new wave band Tears for Fears at the Jose Amalfitani Stadium in Buenos Aires. Soda Stereo then traveled to Criteria Studios in Miami, Florida to begin work on their fifth album. They would enlist the help of Daniel Melero, Andrea Álvarez, and Tweety González (all very important figures in the Argentinian rock scene of the time). The resulting album Canción Animal(1990) is considered to be one of the best albums in the history of Latin rock. It contains their most well known song “De Música Ligera” (Of Light Music), as well as other classics such as “Cancion Animal” (Animal Song), “Un Million de Años Luz” (A Million Light Years), “En el Septimo Dia” (On the Seventh Day), and “Te Para Tres” (Tea For Three). These songs are considered to be the band’s strongest and at the same time are their most popular,. Overall, the album is considered as the most consistent work by the band, along with Signos. San Juan, Santa Fe de la Vera Cruz, Junín, Clorinda, Puerto Iguazú, Trelew, Neuquén, Santa Rosa, Trenque Lauquen Mendoza, Córdoba, Río Cuarto, Santiago del Estero, San Miguel de Tucumán, Salta, Rosario, Buenos Aires, Olavarria, Pergamino. International cities included: Santiago de Chile, Asuncion del Paraguay, Punta del Este, Barquisimeto, Caracas, Valencia, Mérida, San Cristóbal, Mexico City, Monterrey, Guadalajara, Mexicali, and Tijuana. The Tour Animal finished with 14 consecutive shows at the Grand Rex Theater in Buenos Aires. With a 3,300 person capacity, this was a noticeable achievement at the time. Some of the Grand Rex shows would appear on the live EP Rex Mix (1991), which included remixed versions of a new song, “No Necesito Verte (Para Saberlo)” (I don’t Need to See You – To Know). By late 1991 Soda’s continental success brought the band to the attention of MTV News Europe who began to take notice of what was taking place in Latin America, particularly with Rock en Español. MTV unconditionally dedicated a whole show to Soda – a first for non English singing band. In May 1992 Soda embarked on a tour of Spain with shows in Madrid, Oviedo, Sevilla, Valencia, and Barcelona. The lackluster results of the Spanish tour, compared to the fervor they were accustomed to in Latin America, left a sour taste in their mouths. Nevertheless, it did serve as a valid experience, specifically in bringing the band back to earth. To put it bluntly: Spain was in no way a failure, but was far from the success that Soda had been used to in Latin America, in the end it was a good learning experience. After that moment, Soda came to the realization that they were at the center of the scene. Therefore, they decided to give some space to the musical experimentation and openly propel what would be known as La Movida Sonica (The Sonic Movement). Nearing the end of 1992 Soda released their sixth studio album Dynamo. Dynamo was christened with six concerts at Obras. Each show featured a different band as support, Babasonicos, Juana La Loca, Martes Menta and Tia Newton, The Sonic Movement of which Demonios de Tasmania and Los Brujos would also be part of. This would be derivative of something called “El Nuevo Rock Argentino” (The New Argentinian Rock)., Massacre, and El Otro Yo were also considered part of the movement. The band also showcased the album in its entirety in a local talk-show, Fax. This was the first stereophonic TV transmission in Argentina. According to All-Music, Dynamo, was Soda’s least popular album and at the same time their most experimental work. Dynamo did not sell as expected, in large part because the band decided to change record company immediately after recording it. Sony at the time, had no intentions of promoting a group that had just emigrated from BMG and BMG could not promote another foreign product. In January of 1993 Soda began their sixth tour of Latin America, visiting Mexico, Chile, Paraguay, and Venezuela. During the middle of the tour, the trio decided to take a long rest which fueled rumors of a break up. There had been talk of dates in the United States, Spain and other countries, but diverse factors during late 1993 and early 1994 forced the group to take a “rest” from Soda Stereo. 1994 was the worst year for Soda. On the 4th of July, Zeta’s two young sons died in an absurd transit accident in Argentina. This event would deeply affect Zeta on both a personal and professional level. By unanimous decision Soda decided to distance themselves from the myth for a while and at the same time to evaluate the possibility of a definitive separation. During this hiatus, Gustavo released his first solo project: Amor Amarillo (Yellow Love), (ironically, Gustavo had mentioned that he had no interest in a solo career). Zeta dedicated himself to the production of other pands (Peligrosos Gorriones and Aguirre). Charly disappeared from the music scene to focus on personal projects. At the end of 1994 Zona de Promesas, a compilation of remixes and classic Soda songs, including the unreleased song that gave the album its name, was released. After a three year absence, on the 29th of June 1995, Soda release Sueño Stereo (Stereo Dream), their 7th and final studio album. The album was an instant hit quickly reaching platinum disc in Argentina 15 days after its release. The album was powered by the radio hit “Zoom” and the promotional video for “Ella Uso Mi Cabeza Como Un Revolver” (She Used My Head Like a Revolver), which in 1996 won the viewers choice award presented by MTV Latin America. This was a maximum accolade given that this award at the time, since the actual award would not be established until 2002 for Latin MTV. The album became the axis for the extensive Gira Sueño Stereo (Sueño Stereo Tour), which began on September 8 in Buenos Aires, at the Grand Rex Theater. It covered Venezuela, Colombia, Perú, Panamá, México and the United States (Los Angeles, Chicago, New York, and Miami). The tour finished on the 24th of April of 1996 at the Teatro Teletón in Santiago De Chile. In mid 1996 Soda was invited to Miami by MTV to record a session for MTV’s acoustic show, MTV Unplugged. After a few refusals by the band, Soda was able to convince the network to accept an offer where the band would play plugged in, but with modifications such as orchestration including new arrangements of some of their classic songs. The result was an eclectic mix of music, some electric, some acoustic, but all bearing the Soda Signature style. A highlight of the album was a soaring rendition of “En La Ciudad De La Furia.” where the chorus was sung by Andrea Echeverri of the Colombian Rock en Español band Aterciopelados. 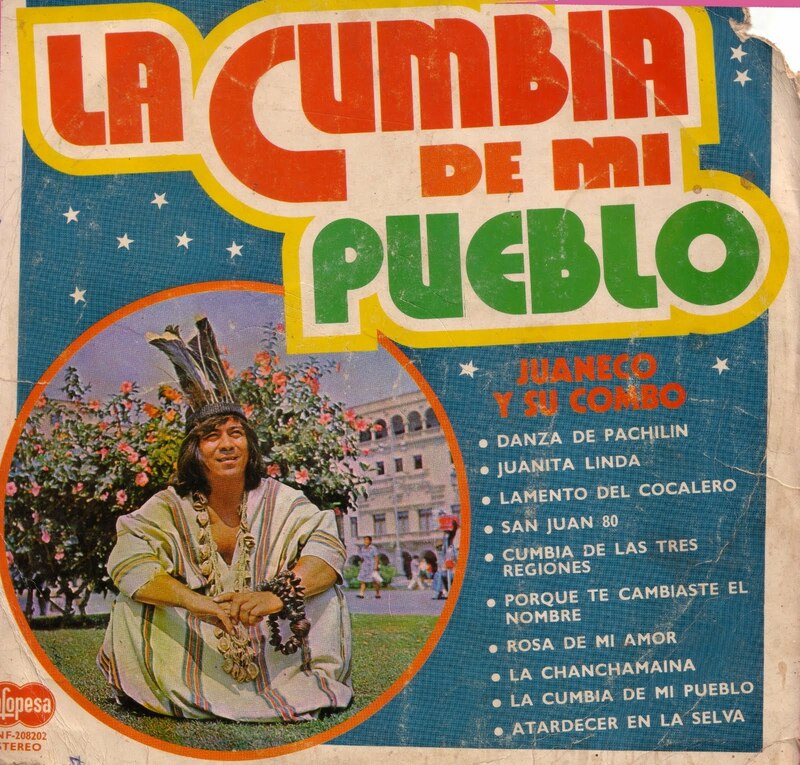 Other songs recorded were, “Un Misil en Mi Placard,” “Entre Canibales,” “Cuando Pase El Temblor,” Té Para Tres,” “Angel Electrico,” “Terapia de Amor Intensiva,” “Disco Eterno,” “Ella Usó Mi Cabeza Como Un Revólver,” “Paseando Por Roma, Y “Génesis” (A cover of Vox Dei). The recording of the MTV show were partially released on the album Comfort Y Música Para Volar (Comfort and Music to Fly By) (1996), and in its entirety in a new version of Comfort released in 2007. The album cointained 4 new tracks from the Sueño Stereo sessions as well as an interactive cd-rom with pictures and videos from the show. On the 30th of October of 1996 Soda Stereo became the first Latin American band to transmit a live concert via the internet, via the Argentinian radio program Cuál Es? (Which is?). The show was conducted by Mario Pergolini on Argentina Rock & Pop radio. The band played live from the music store Promúsica in BuenoS Aires. These lines were inspired from what I have seen on the street these days, fans who have approached me, the people around me, and from my own personal experience. I share the sadness that has been created in many by our separation. I, myself, am immersed in that state because few things have been so important to me in my life as Soda Stereo. Everyone knows that it is impossible to lead a band without a certain level of conflict. It is a fragile equilibrium in the battle of ideas that very few are able to handle for fifteen years, as we proudly did. But, ultimately, different personal and musical misunderstandings began to compromise that equilibrium. At that juncture, excuses are generated for not confronting ourselves, excuses for a future group that we no longer believed in as we did in the past. To end for the heatlh of the band is, in its redundancy, to enforce value our mental health and above all to show respect for all of our fans who followed us for such a long time. A big hug. The band carried on with a farewell tour, making stops in Mexico, Venezuela, and Chile. Their last concert took place on 20 September at the River Plate Stadium in Buenos Aires was recorded and released in two parts, El Último Concierto A and B. A DVD of the farewell show was released in 2005. The show ended with the song “De Musica Ligera” and a memorable farewell by Cerati.